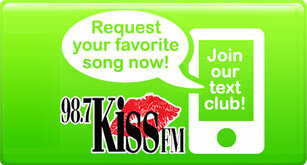 987 TODAY’S KISS LOVES ALL OF BIRMINGHAM’S 99 NEIGHBORHOODS AND WE ARE COMING TO VISIT YOU NEXT! THE KISS NEIGHBORHOODS WE LOVE TOUR PRESENTED BY ALABAMA POWER IS JUMPING OFF AND ROLLING THROUGH YOUR HOOD SOON! 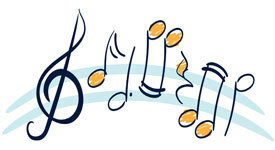 GOT AN EVENT YOU WANT US AT? THEN LOG ONTO 987 KISS DOT COM AND TELL US ABOUT YOUR UPCOMING COMMUNITY GET TOGETHER, NEIGHBORHOOD PICNIC, FAMILY REUNION, OR CHURCH ICE CREAM SOCIAL SO KISS CAN BE THERE PLAYING ALL YOUR FAVORITE MUSIC AND LOADING YOU DOWN WITH KISS PRIZES! 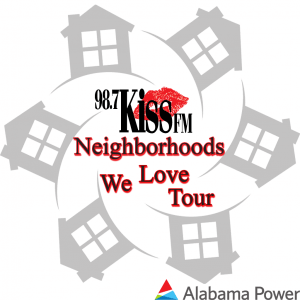 IT’S THE KISS NEIGHBORHOODS WE LOVE TOUR PRESENTED BY ALABAMA POWER COMING TO YOUR NEIGHBORHOOD NEXT!